Now that Spanish director Pedro Almodovar has won both an Academy Award and a Best Director prize at Cannes, he's ready to get a little more candid about his life experiences. Bad Education, which will open the 2004 Cannes Film Festival, is said to be loosely based upon Almodovar's own childhood events. The title of the film is actually quite literal. The story will focus on two men and the effects their Spanish/Catholic school education has had on their lives. Three distinct eras will be the focus of their development. The first one will be the men's childhood during the Franco rule of the 1960s, as they become friends through a shared love of the movies and contrasting fear of their teachers and administrators at their school. They meet again in the '70s and then later in the '80s, both contending with terrible events that have happened in the meantime. 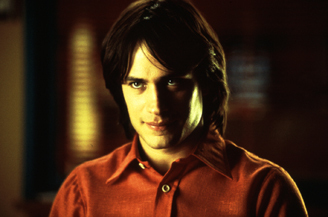 In addition to Almodovar's pedigree, the film stars Mexican actor Gael Garcia Bernal, whose marvelous performance in the coming-of-age story Y Tu Mama Tambien opened the door for him to be considered for a number of higher-profile roles. Also featured are Spaniards Fele Martinez and Javier Camara, who also starred in Talk to Her.